This is my second marriage. I just want my family to celebrate my wedding, but not bring gifts, they are very generous and I just don't feel right accepting gifts from them, again. Would it be okay to ask them to donate to their favorite charity in lieu of gifts? It's technically not okay to mention gifts in any way. Don't mention it at all. If someone asks where you are registered respond by saying something sappy along the lines of "we are not registered anywhere. We just want everyone to come and have a good time, your presence is gift enough." If they choose to get you a gift after that than yay you! You could do a wedding website for your guests and mention on there that you'd prefer donations to charities. Britt-Britt22-oops, sorry, Anna here. 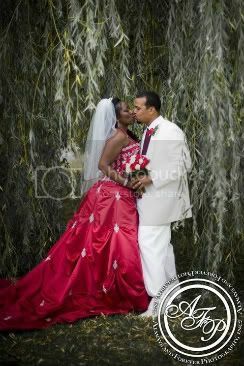 wedding june 25, '10. thanks for the input, I appreciate it. so much has changed in 20 years! No internet back then, everything was done by phone and snail-mail...hard to comprehend, isn't it! This is way easier and much more fun. Welcome to the board !!! I think word of mouth, by telling a couple of friends or family members when they ask will help it spread. And also a nice note on your wedding website would work out.